Conditional Use Permit request by Dan Higginbotham, 156 Kent Street, Wausau, WI 54403, to allow for a Bed and Breakfast Land Use, within the RR-5 (Rural Residential – 5 Acre) Zoning District, on property addressed as 2625 Northwestern Avenue (082-2808-082-0982), described as that part of the Weston one-half (W ½) of the Northwest quarter (NW ¼) of Section (8), Township twenty-eight (28) North, Range eight (8) East, lying south of Northwestern Avenue; Excepting that part described in Warranty Deed in Document No. 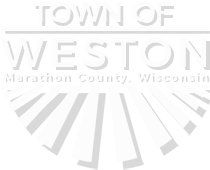 1493323; Also Excepting the C&N W Railroad right-of-way, in the Town of Weston, Marathon County, Wisconsin. This parcel consists of 14.380 acres (Project 20180047). Rezone request by Milton Olson, 9805 Townline Road, Wausau, WI 54403, Weston, requesting a rezone from SF-L (Single-Family – Large Lot) and AR (Agriculture and Residential) to RR-2 (Rural Residential – 2 Acre), to allow him to reconfigure two existing parcels (PIN 082-2808-011-0996/9805 Townline Road and 082-2808-011-0997/vacant parcel), resulting in 2 acres of land serving his residence, at 9805 Townline Road, and the remaining 38.47 acres serving as agricultural and wooded lands. The area to be rezoned is described as the West 269 feet of the East 561.05 Feet of the North 365.08 Feet of the Northwest ¼ of the Northeast Fractional ¼ of Section 1, Township 28 North, Range 8 East, Town of Weston except the northerly 2.5 Rods reserved for Road purposes (Project 20180044). 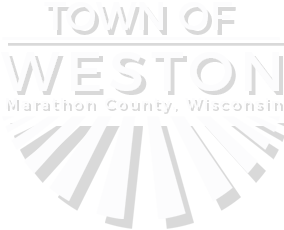 Written testimony must be submitted to the Town Zoning Administrator, Jennifer Higgins, 5500 Schofield Avenue, Weston, WI 54476, or emailed to jhiggins@westonwi.gov, by 10:00 a.m. on Tuesday, July 31, 2018, to be included in the Plan Commission Meeting Packet. All interested persons attending the Public Hearing will be given an opportunity to be heard. Any person with questions or planning to attend needing special accommodations in order to participate should call Milton Olson, Town Chair, at 715-842-5397. Published as a legal ad in the Wausau Daily Herald on Tuesday, July 24, 2018 and Tuesday, July 31, 2018.